Yahoo is smaller than Google, slower growing, and decidedly less fashionable. Google's stock has risen smartly in the past year; Yahoo's has fallen. But Decker's career is only going up. 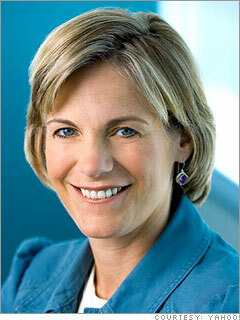 A stock analyst who joined Yahoo as CFO in 2000, she was promoted to president in June to lead a turnaround. Warren Buffett gave her his vote of confidence: He named her to the Berkshire Hathaway board this year.